Part I discussed the importance of goal-setting for climbing and provided some basic examples specific to the realm of mounaineering. 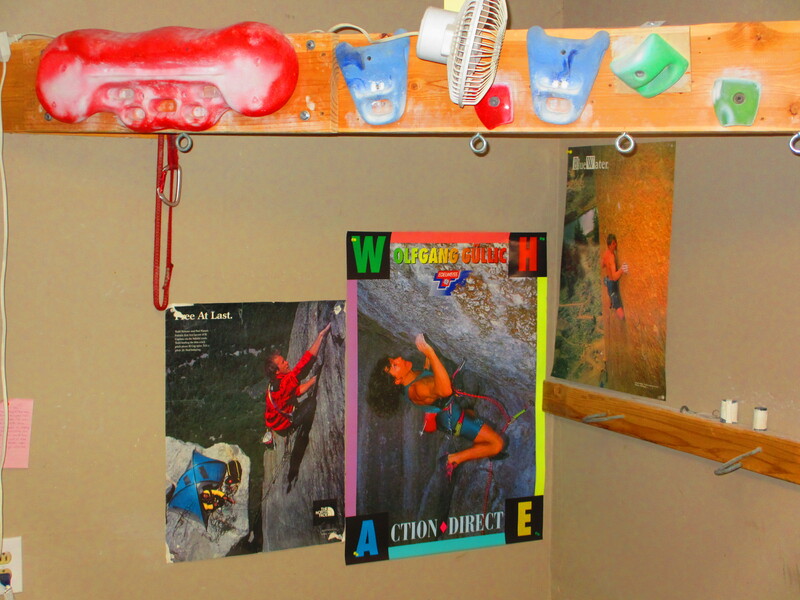 Part II will discuss some more specifics on goal-setting for rock climbing. The subject of goal-setting in general life has been covered by countless self-help books and seminars. Two fantastic resources specific to climbing are Todd Skinner’s outstanding book “Beyond the Summit”, which details his expedition to free the East Face of Trango Tower, and Arno Ilgner’s “The Rock Warrior’s Way”. Both of these are highly recommended for the goal-oriented climber. Over the ten years or so that I’ve really focused on improving my rock climbing I’ve had several great seasons, several terrible seasons, and many mediocre seasons. 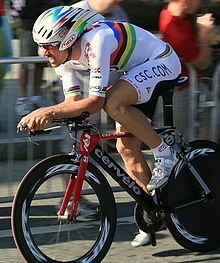 The one consistent aspect of all my great seasons was that they all started with a grand goal. At this point I can usually predict if a season will be “good” or “bad” based on the quality of the goals I set for the season. Training for “general fitness” is a surefire path to disappointment in my experience. So, how does one go about selecting a good goal? It sounds simple enough but you would be surprised how difficult it can be. And since the goal itself is possibly the single most important factor in determining success, its important to set a good goal. Lets start by discussing a poor goal: “I want to climb a 5.12”. Seems reasonable enough, and if popularity were a predictor of quality, this would be the best possible goal in the sport of rock climbing. But there are atleast three major problems with this goal. First, grades are subjective. Unless you set out to climb a sandagged 12d, you will never really know if you achieved your goal or not. If you are capable of climbing a sandbagged 12d, you should probably set your sights a little higher. Instead most people will select the local 12a trade route, and if you’re like me, every time someone utters “11d”, “soft”, or “this would be blah blah blah at Rifle” about your precious trophy route your heart will sink. Don’t live and die by other people’s opinion of your goal. Stay away from grades because they are subjective and goals need to have concrete finish lines. Second, the goal lacks specifics. Remember, part of the point of goal setting is to steer your training plan. Do you know if “a 5.12” will require good pinch strength, improved endurance or better gear placing skills? Its pretty hard to say since “a 5.12” is so vague. It could entail anything from a 20-foot horizontal roof deep-water-solo to a 1000′ 60 degree slab on marginal gear. 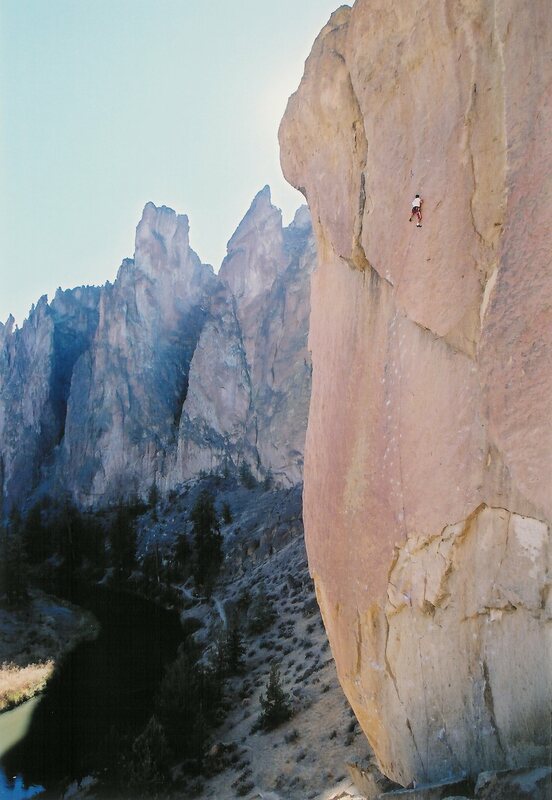 Here’s an example of an improved goal: “I want to redpoint Latin Lover at Smith Rock.” One thing right off the bat, there is no need to debate the grade. Some people say 12a, some say 11d; who cares? The goal has nothing to do with the grade; they are totally unrelated. A goal is really just a stepping stone to the next, bigger goal anyway, so what does the number have to do with it? The goal might even be “easier” than something you’ve already climbed, but requires a new skillset or exploits a weakness that, once improved, will provide access to other, more challenging goals. So forget numbers. Next, the style of ascent is defined (at least sport climbers know what you mean). The original goal left some ambiguity. Would a toprope ascent, with hangs, count? The new goal makes it clear the intent is to climb from the ground, on lead, with no hangs or falls, but rehearsal of the moves is acceptable (but you can continue to argue with your trad climber uncle about whether or not its necessary to hang the draws on the send). The next step is to identify the ideal time of year to attempt this specific route, arrange for partners, request vaction time from work and construct a training schedule that will maximize fitness at the perfect time. All of these critical items would have been nearly impossible to plan properly without a specific route in mind. Next comes the easy part, following through until the goal is realized. From the anchor, with the redpoint in the bag, you will have a new perspective from which to spy that next, harder goal. 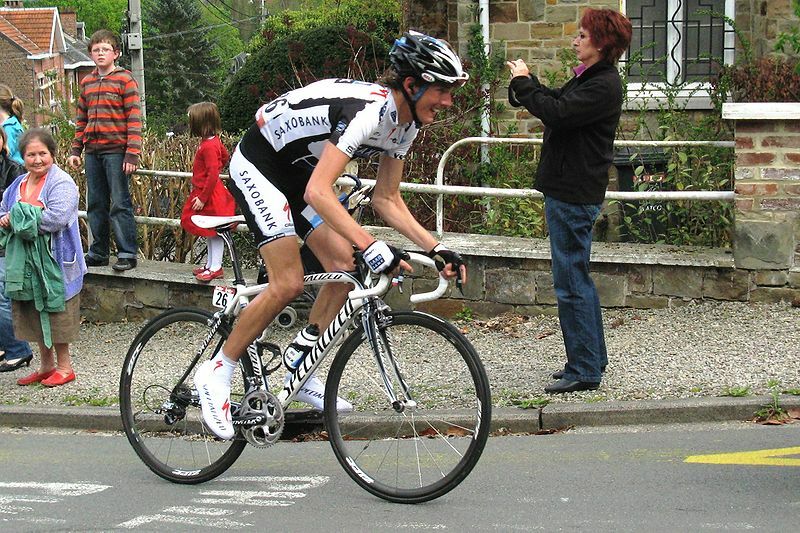 A good gooal route will provide the inspiration to get you through the duldrums of training. This past weekend I made it out to Moab for the first time in several years. Based on the rate of expansion the last time I visited I expected to see skycrapers and three international airports when I arrived. The town had certainly been through some changes, but once we got out into the backcountry I was pleasantly surprised to see things really hadn’t changed that much. There is no doubt the sport of climbing has exploded in popularity. With no indication that this growth is going to slow down any time soon its pretty common to hear climbers lament how crowded the crags have become, and how they long for the good ol’ days when it was common to have an entire cliff to yourself. Based on my experience over the last few months, I’m fairly confident this “overcrowding” hysteria is highly exagerated. I don’t deny there are more climbers than ever. And if you choose to go to Cactus Cliff or Supercrack Buttress on a sunny spring Saturday you will surely witness this firsthand. But these crags are only the tip of the iceberg. 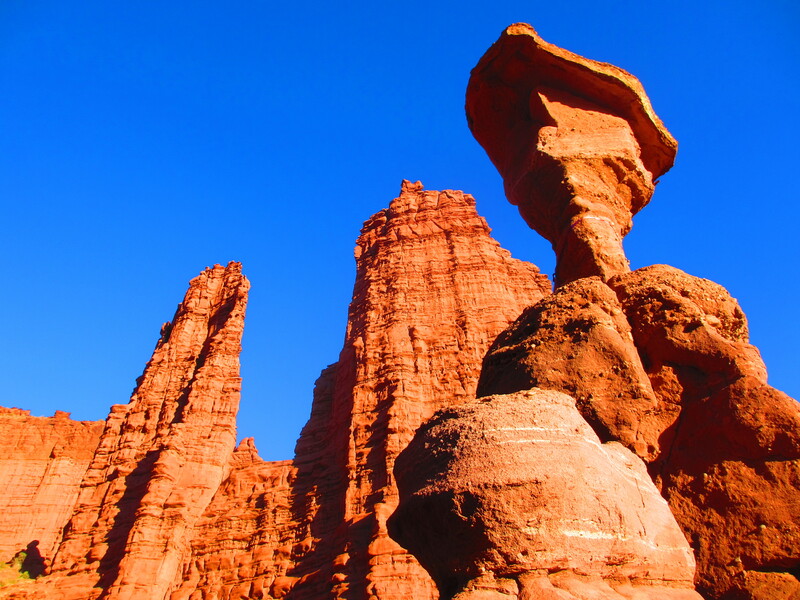 For every Cactus Cliff there are 10 other cliffs, just as good, that are totally deserted. That’s not to say you won’t have to do a little extra work. You may have to drive a little further, walk a little further, walk through some brush, clean some routes, maybe sink in some steel, but the rock is there waiting. 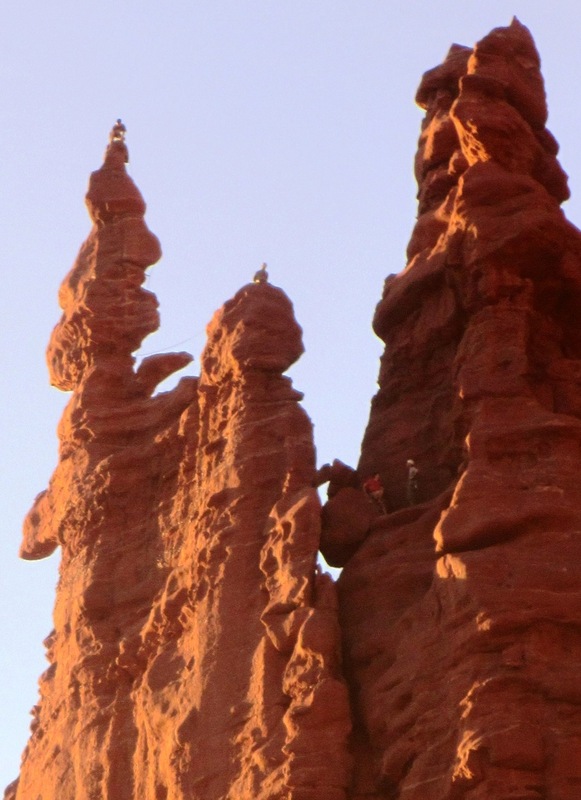 We hiked the Fisher Towers trail on Friday evening, and I counted 6 parties of climbers…all on Ancient Art. So if your concept of the Fisher Towers is limited to the one route in the CitiBank commercial, ya, the Fisher Towers are unbelievably crowded. Ancient Art is a fine route with a unique summit, and I’m happy to have done it. But there are HUNDREDS of other routes, many that will blow your mind, a stones throw away that go years without ascents. Often the cliffs and routes that we think of as “classic” are really just old and convenient. They were developed first because they were the most obvious, not necessarily because they were the best. The routes at these crags have developed a mystique due to their place in history, and the long list of folks that have tried them. The routes seem a bit easier because they’re heavily chalked, all the footholds have black rubber spots, and you can probably find the beta on Youtube. 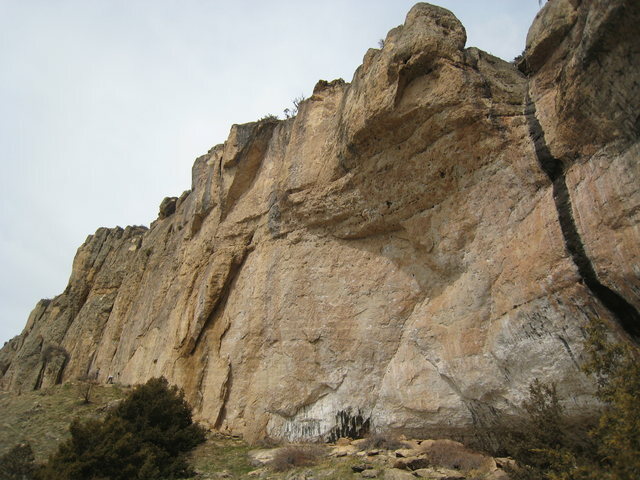 But the holds are polished, footholds have crumbled, and a few handholds are probably lying in dust on the ground. These routes aren’t really easier and they aren’t really any better. That’s not to say the classics should be avoided. I love climbing classic routes, and a look at my tick list will immediately betray my preference for such routes. But there are other great routes out there just waiting to be climbed. You may have to wade through some crowds now and then if you want to feel that special connection to your heroes that comes from repeating one of their legendary lines. Or you can call in sick and show up at the crag on Tuesday. Even Smith Rock’s Dihedrals are completely deserted on Monday. Another option is to watch the weather forecast and show up during the off season. If you want the Motherlode to yourself the solution is simple. Wake up at 7am and you’ll have a few hours of solitude before the hoards arrive. If all else fails, get yourself a used Hilti on e-Bay, walk that distant cliffline you’ve been eyeing for years, and build your own personal paradise. Once you’re lonely, longing for the cameraderie of fellow climbers, post the beta on the web and watch your creations become the classic lines of the next generation.